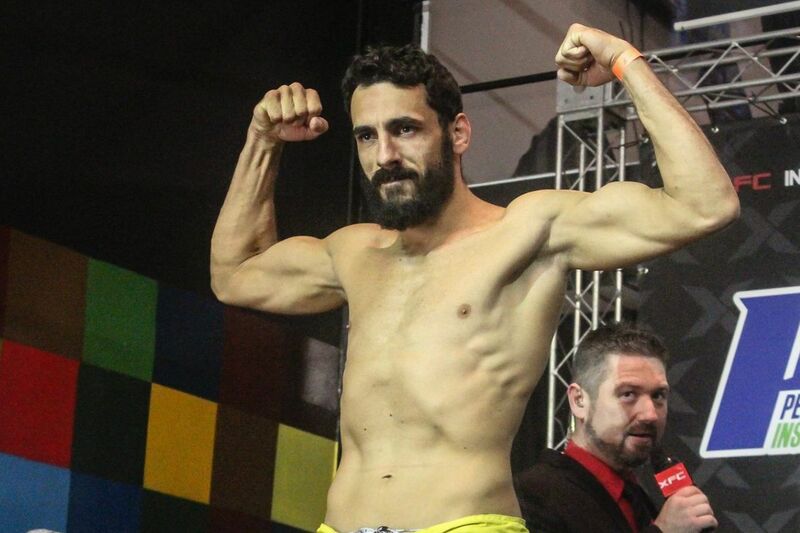 Days after signing with the UFC, Alberto Uda already has a fight booked. Uda will replace Keith Berish at UFC Fight Night 88 and meet Jake Collier, sources close to the situation told MMAFighting.com. The UFN card is scheduled for May 29 at Las Vegas’ Mandalay Bay Events Center. Uda racked up a perfect 9-0 record on the Brazilian circuit, finishing eight of his opponents. For the past two years, the middleweight prospect went 5-0 under the XFC International banner, capped off by a first-round knockout over UFC veteran Thiago Perpetuo. Collier (9-3), a former RFA middleweight champion, enters his fourth UFC fight six months after a TKO loss to Dongi Yan. In his previous UFC bouts, “The Prototype” went 1-1 against Brazilians, bouncing back from a loss to Vitor Miranda in his debut with a win over Ricardo Abreu. UFC Fight Night 88 will feature bantamweight prospects Thomas Almeida and Cody Garbrandt in the main event, while former 135-pound champion Renan Barao makes his featherweight debut versus Jeremy Stephens in the co-main event.